Have you guys met Nikki over at MelonHeadz Illustrating yet?? I know many of you have but if you have not, you must run over to her blog right now! Nikki is a very gifted artist who designs clipart and kindly lets teachers use them in files to share or sell. Want to know something even better?? 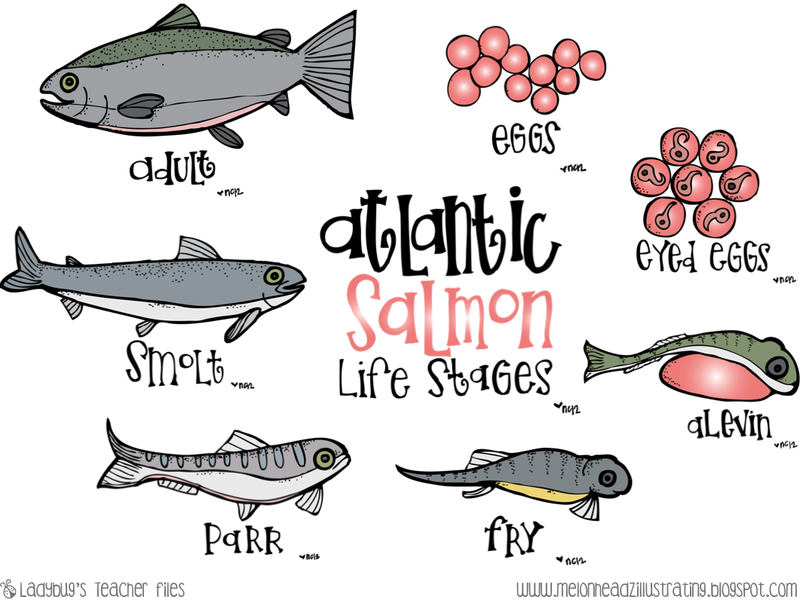 I asked Nikki if she could design clipart featuring Atlantic Salmon at the various life stages. (My class raises salmon from eggs to fry each year…you can see the previous post on this here, if you’d like). It truly is one of the projects of the year! The only downside is that it can be hard to find resources for newcomer ELL students in this area. There are some great ones out there, but not a ton and I’d like the chance to make some of my own for my students. Thanks to Nikki’s incredible work, I’ll be able to do that! I can’t get over how wonderful her illustrations of the salmon are! Thanks Nikki! So, I am sharing the Atlantic Salmon life cycle poster shown above. I know this is not something most of you need, but I’m hoping to place it out there in cyberspace for someone who might need it. I hope these can be used! 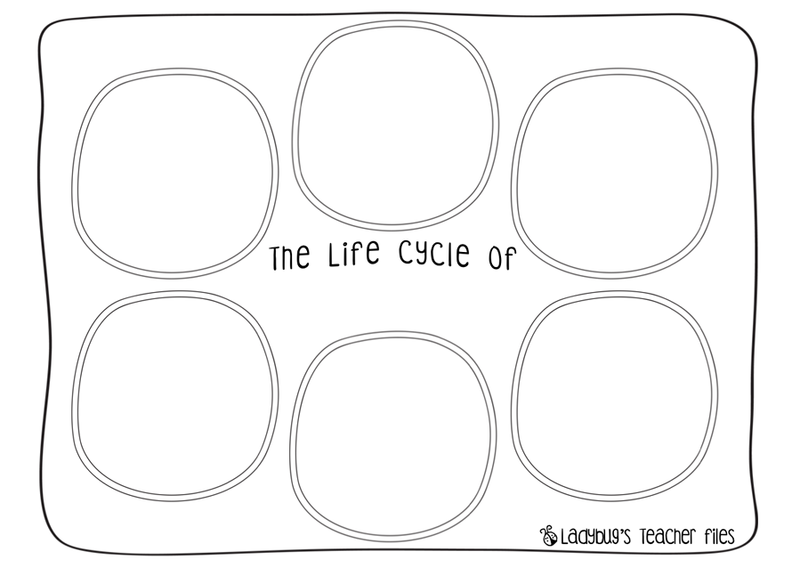 And I hope a fellow Atlantic Salmon raiser/teacher can use that life cycle poster!! Wow! I love the illustrations! What a fun project for your kiddos! I gave your blog an award!!! These are great, Kristen, thanks! We study the Pacific salmon, but it looks like their life cycle is the same — ha ha! oh no! I can't comment! Now I want to see if she has frogs, ladybugs, and butterfly life cycles!!! I love Nikki so much!!!!! She is doing requests left and right and she is so talented. Who knew fish eggs could look cutesified? HA! How fun is that project! You are such a great teacher!!!!!!!!! We raise salmon at our school and then the 4th & 5th graders release them into the wild (A benefit to living in Seattle, for sure!). I absolutely loved teaching about salmon in 2nd grade, visiting their redds to watch them die (sounds morbid, but it's truly fascinating) and doing native plant restoration creek side with my students. 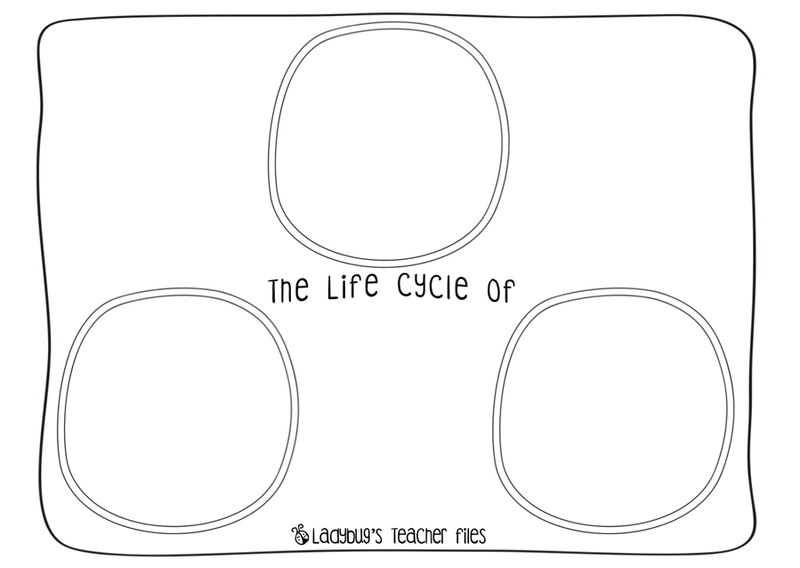 I love teaching Kindergarten, I do, but I miss getting deep into such things like I could with 2nd and up… Thanks for the printables! I'm def. going to share them with our Intermediate team! Ok this time it let me!!! It is probably my issue. And I have another issue. I can't update my bloglist anymore. It says saving but it won't ever actually save. I have done it 30 times. I have 30 more blogs to add to my bloglist now but it won't work. Any ideas? I contacted them but they haven't responded and it has been almost a week. I'm coming over to your blog so you'll see my comment! We raise salmon at our school, too! The 5th graders get to go on a field trip to release them. Thanks! I love your blog! I am awarding you the Lovely Blog Award!